This is a movie of the NZ History and before the Treaty of Waitangi. This is what Room 15 done this so we could learn why they made a Treaty. It was because New Zealand was a very dangerous place to live in. So please enjoy my movie as you watch why and how they created the Treaty of Waitangi. I am a student from the University of South Alabama in the United States. I really enjoyed you movie. 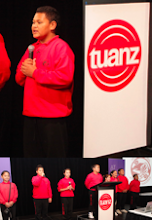 You did a great job describing how and why the Treaty of Waitangi came to be. Also your public speaking skill are very good. Thank you for leaving me a comment. I cant believe that it was from South Alabama. My reflection on the Maori and European Migration was I couldn't of worked on how many objects are moving. I couldn't of made my movie look realistic because I didn't show if the people were paddling. In my Maori Migration movie I think I liked my voice-over because I think that it was very clear and I could understand it. Next time I think I could do a little bit better on my next animation.